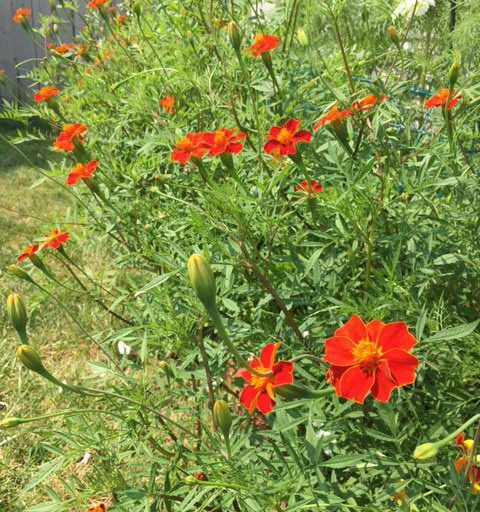 Greetings from high summer in the garden. 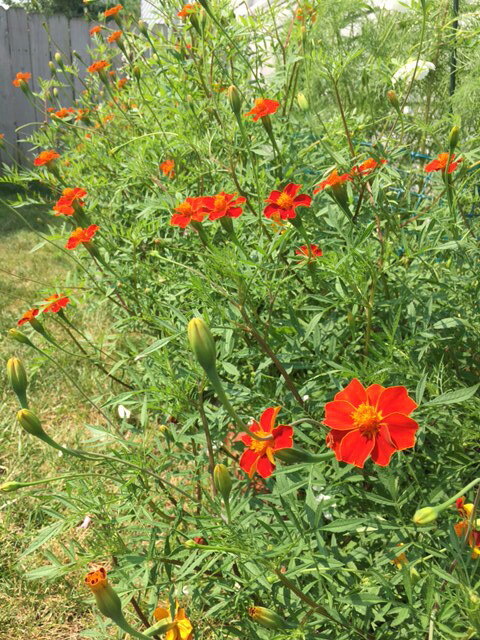 Even though it’s hot and humid out today, I went and worked on staking some cosmos that have gotten out of control. 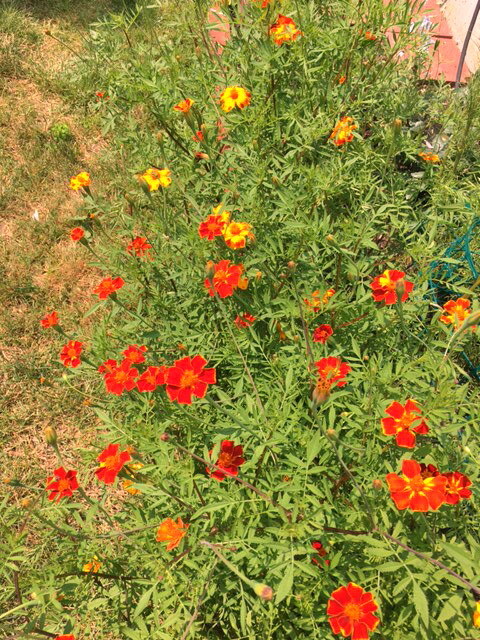 As I was doing this, I realized how incredibly happy I am with the Marigolds I planted this year. 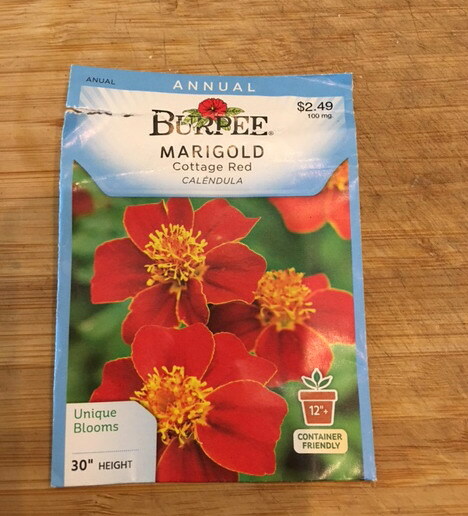 They were pretty standard seed packs that you get at the store (I think one of them may have even been from the dollar store!). 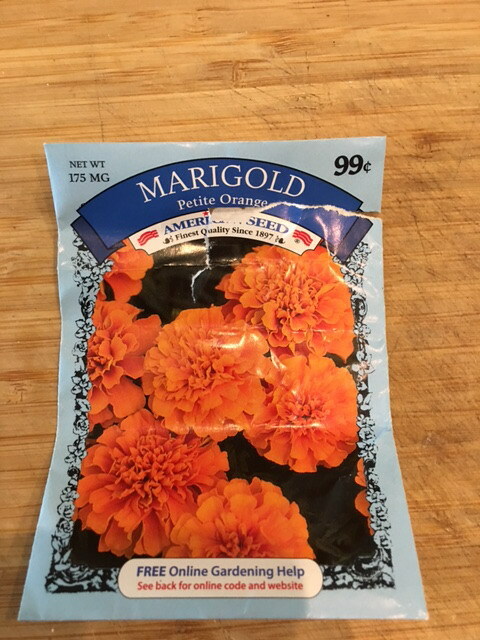 These are more of your standard garden marigolds called “Petite Orange” and these are the seeds that I’m 99% sure I got at the dollar store. 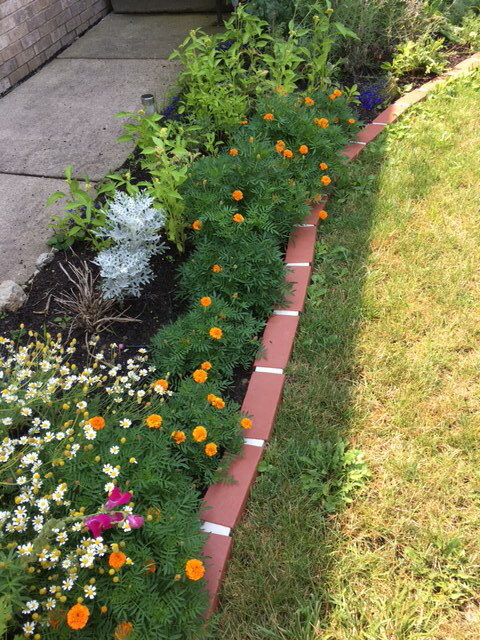 They were also direct sown into the front garden, and although they started out looking like they were going to be small, they bushed up in July. I wasn’t even sure that these were going to survive, but look at them now. I’m very happy with these for the front garden. They don’t have stem length, so they will not be cut flowers, but they look nice. In the case of both seed packets, germination rate was pretty good (probably 90%). They will be on my list for next summer.